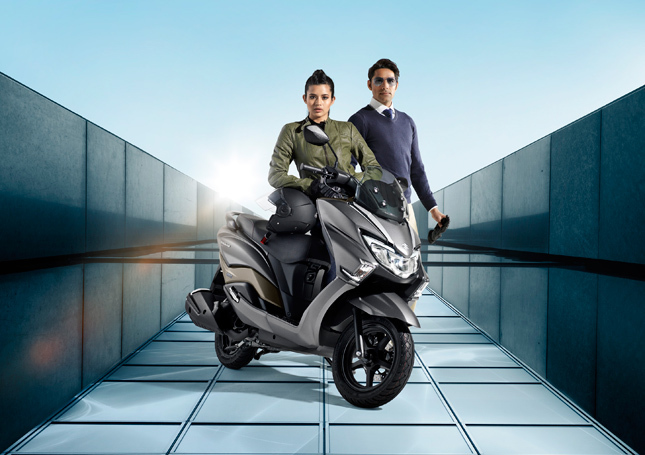 Suzuki Motorcycle India has revealed a new maxi scooter in India, the New Suzuki Burgman Street. A maxi-scooter is a form of touring scooter which uses larger frames to shield the rider from upcoming wind blasts and offer a plusher ride feel than normal scooters. Essentially these scooters are used for touring and they are quite popular in several parts of Europe. 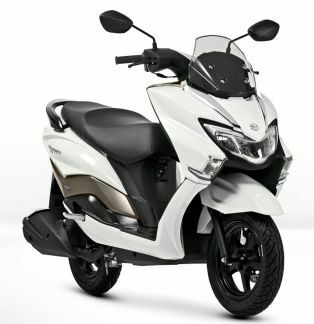 Suzuki Burgman was one of the maxi scooters introduced in the international market and now seeing as how popular touring is in India, Suzuki has revealed Burgman Street 125 here in order to cash in on this growing market. At a single glance, the Scooter looks big. Its front beefed up frame seems more than capable of protecting the rider from wind blasts. The seat on the scooter is comfortable and wide. Riding stance is obviously upright and comfortable. 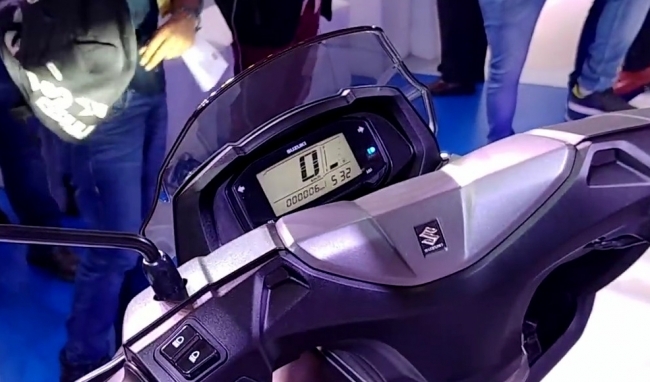 Like many other maxi scooters, Suzuki Burgman Street too has a windscreen, behind which sits the all-digital instrument console. It is a rectangular unit similar to the ones found on Gixxer and Intruder. 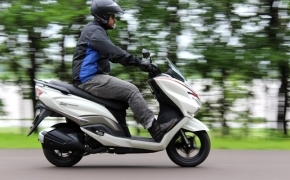 From the looks of it, Space and comfort seem to be the topmost favorable features in the scooter. There are 2 storage compartments in the scooter. One is at the front, consisting of 12V DC charging port and the other one is under the seat, which can easily hold a helmet. At the front, we have a big LED headlight unit but the fuel tank lid is placed under the seat. 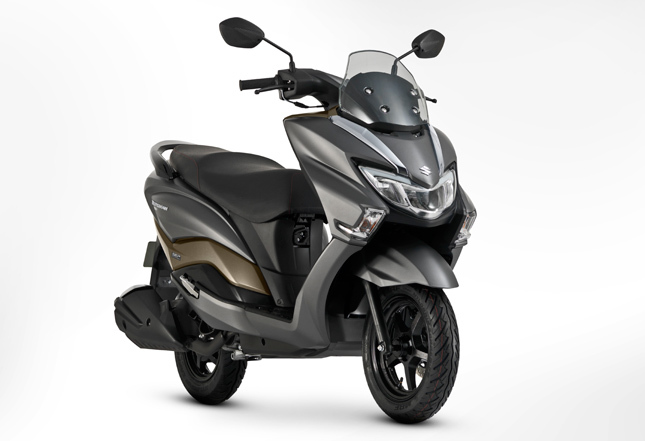 That is all about the Suzuki Burgman 125, with this scooter and TVS NTorq, features like disc brakes and telescopic forks are becoming a standard in the Indian scooter market. Maybe, the combined efforts of company’s like Suzuki, Aprilia and TVS we can finally witness the dethroning of the king of scooters in India, the Honda Activa. Until then let’s wait and watch.